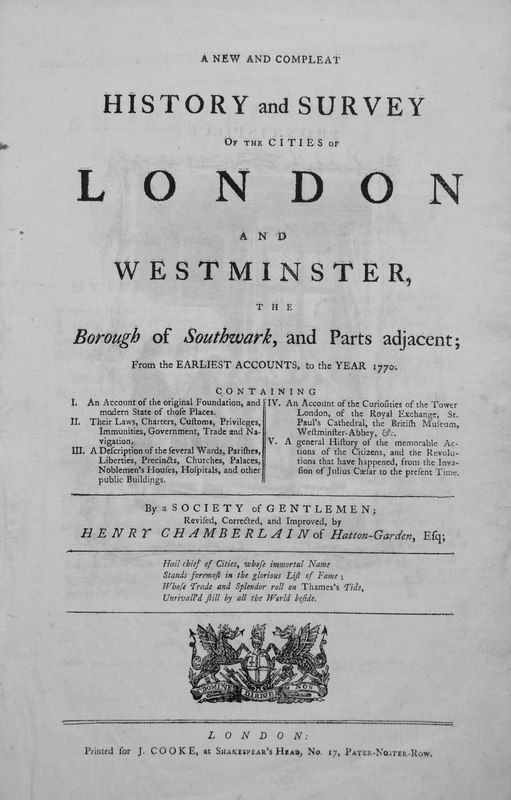 Books have probably been written about London for as long as books have been published. London books cover specific areas and topics, general guides, histories, picture and photo books etc. I suspect that a book has been written about any London topic you could think off. My own collection of London books, starting with the books my father bought from the 1940s onwards, probably numbers around 450 and ranges from a 1756 edition of William Maitland’s History and Survey of London through to recently published books such as Up In Smoke – The Failed Dreams of Battersea Power Station by Peter Watts. Second hand bookshops are always a good hunting ground, although today there are not that many to be found, however last Saturday on a trip out to Canterbury I found a good one and bought an excellent history of Chelsea by Thea Holme from 1972 for £6.50. 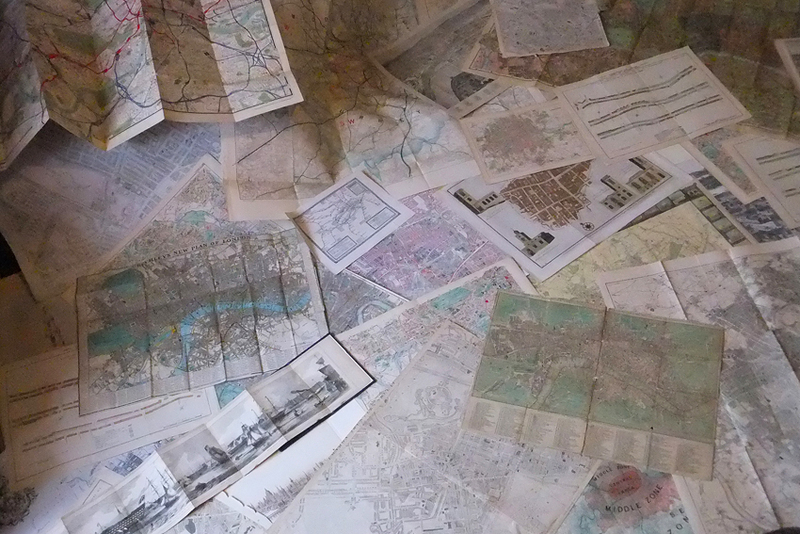 Since starting this blog, I have had the pleasure of meeting a number of people who have a knowledge of London that far exceeds mine, one of these is Hawk Norton, a collector of London books whose collection is larger than mine by several orders of magnitude. I first found out about Hawk through an article on Londonist and have since made a number of visits to his collection in Brentford and have probably purchased far too many books than my limited shelf space will support. 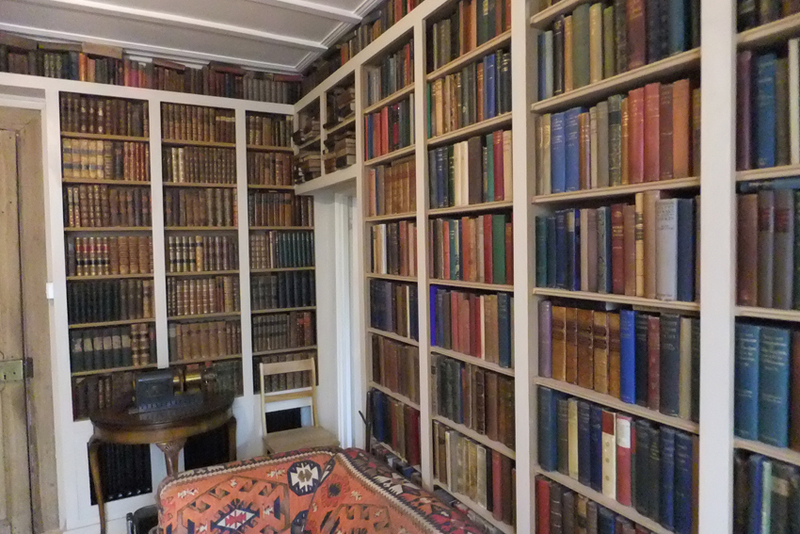 Hawk has been collecting London books for several decades however for the last year has been selling much of his collection. If you are interested in London, or books (or ideally a combination of the two), I recommend getting in touch with Hawk via his e-mail ( hawk@btinternet.com ) to request the latest copy of his list of books or to arrange a visit, although be careful with a visit as if like me, you will leave with more books than you had planned on arrival. My own collection of London books is much smaller, however here is a selection that provide a snapshot of the wide range of books that have been published about London over the years. One of the first comprehensive and published history or survey of London is that of John Stow which was first published in 1598. A second edition was published in 1603. Unfortunately I do not have either of these original versions, but I do have a 1908 reprint of the 1603 publication. This version has two volumes and the books are a detailed survey of London at the end of the 16th Century, almost a street by street walk through of London with a description of the City Wards, main streets, churches, houses, historical characters etc. Stow has been the original reference for much later writing. William Maitland was a Scottish merchant who lived in London for a time, returning to Scotland in 1740. 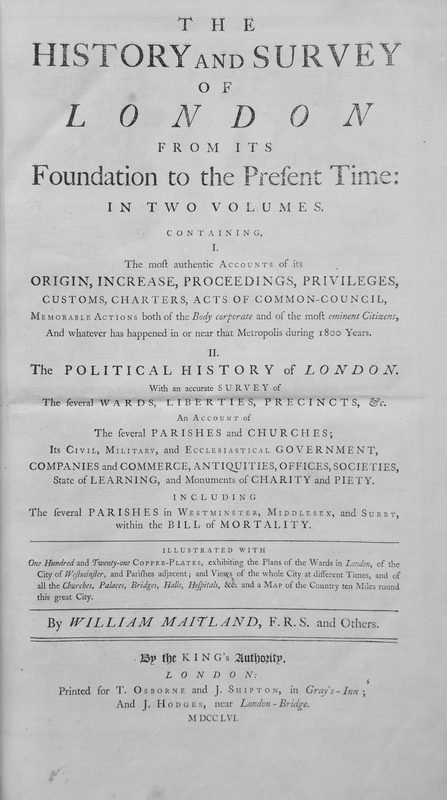 Maitland’s book has a large number of prints of major buildings across London and also many City Ward maps. Over the years, the prints and maps from early books are often removed and sold separately for a higher amount than if they were contained within the book, however when they do survive, along with the text they provide a fantastic view of London from the mid 18th Century. 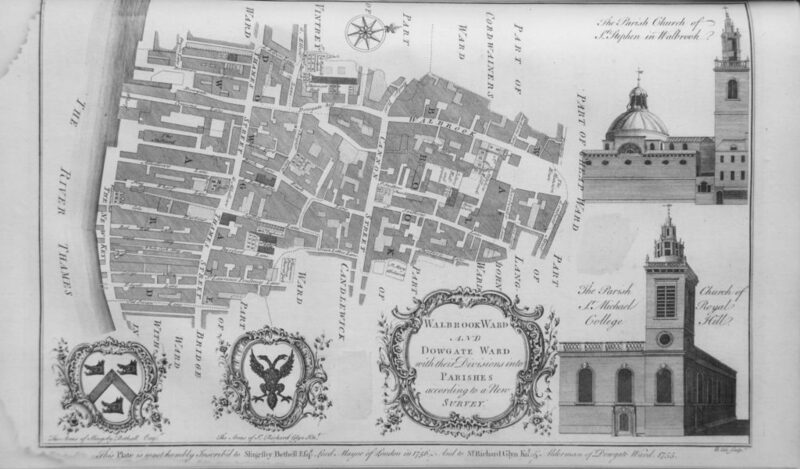 Map of Walbrook and Dowgate Wards from Maitland’s History and Survey of London, including drawings of the churches of St. Stephen Walbrook and St. Michael, Royal College Hill. Unrivall’d still by all the World beside. Click on the map is open a larger version. 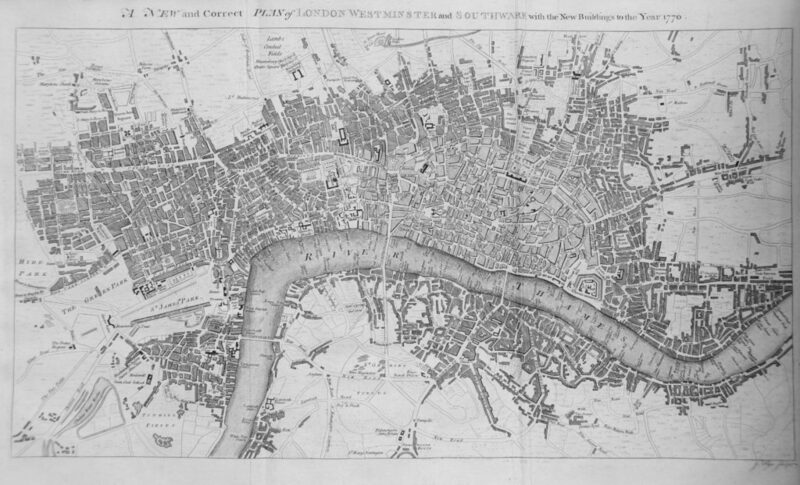 It is fascinating to see the state of London in 1770. To the north is the New River Head at Sadlers Wells, to the east is the cluster of buildings at Bethnall Green, still separate from the city and surrounded by fields. South of the river, the city is expanding out from the southern end of London Bridge and in 1770 there were only three bridges over the Thames, Westminster Bridge, Blackfriars Bridge and London Bridge. The southern end of Westminster Bridge opens out mainly into fields. 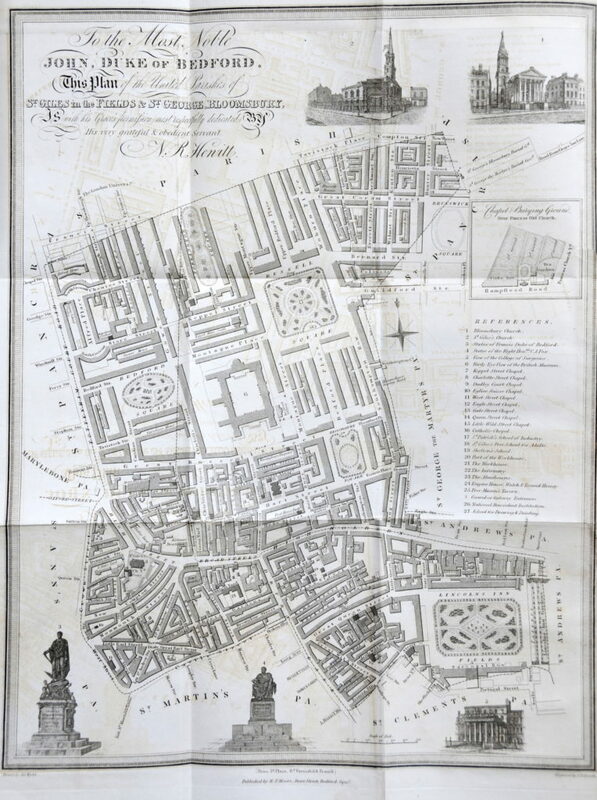 There are also interesting little details, follow the Lambeth Road and there is a building named Dog and Duck, this was described as a “notorious pleasure garden and haunt of prostitutes in the 18th century.” The site of the Dog and Duck is now the Imperial War Museum. Along the river, the map also shows how many stairs there were down to the river, each individually named enabling the traveler to find the right stairs to meet a boatman. Moving into the 19th century and my next major survey of London is the six volume set, “Old and New London: A Narrative of Its History, Its People, And Its Places”. The first two volumes were by Walter Thornbury and published in 1873 with an extended six volume edition published in 1878 with the last four volumes by Edward Walford. These six volumes provide a detailed history of London, and illustrate how London had grown since the 18th century books. Old and New London covers central London, but now also includes “the suburbs”, a new 19th century word to cover the ever-expanding city. 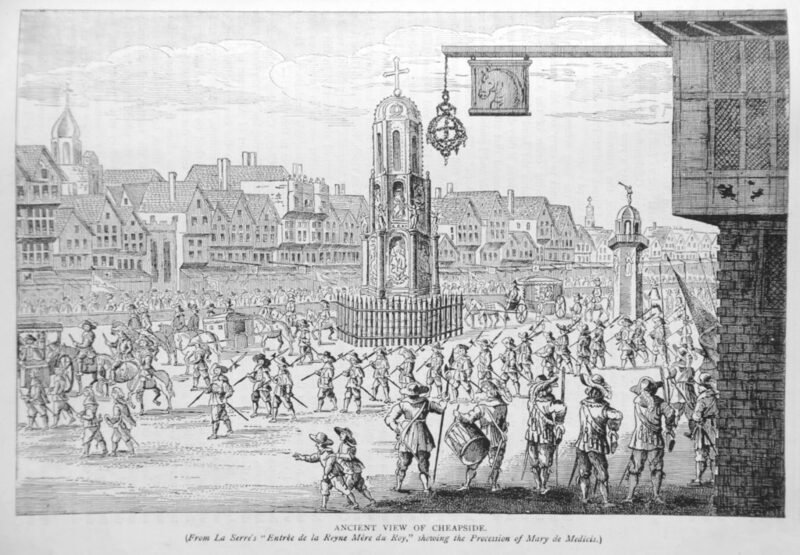 As well as a detailed written account of the city and suburbs, Old and New London has a large amount of drawings of all aspects of the city, the following being a typical example and is titled “Ancient View of Cheapside (From La Serre’s ‘Entree de la Reyne Mere du Roy’ showing the Procession of Mary de Medicis”. In the time before photography and the mass printing of photographs in books, drawings such as this were the only way of conveying the visual sense of a place or event to the reader and Old and New London is probably one of the last major history and surveys of London before photography takes over. I doubt that many people today walking the streets of these parishes to the east of Tottenham Court Road and south to Lincolns Inn Fields will be aware of the glorious triumph, but it is a fascinating insight into the way in which parishes were run and administered in the centuries leading up to more formal governance in the 19th century. Again, clicking on this should open a larger copy of this detailed map. In the bottom left hand corner is the area just east of the Charing Cross Road and Tottenham Court Road junction where the major Crossrail and associated developments are currently taking place. The map includes Denmark Street which so far, is the southern boundary of the current developments, but is a street undergoing major change. Books were often published to commemorate the opening of a new building. One such book was published in 1932 by the British Broadcasting Corporation to commemorate the opening of Broadcasting House at the corner of Portland Place and Langham Street. I found this in a second-hand bookshop in Leigh on Sea on the 15th February 1975 – according to the inscription on the inside of the book, my parents bought it for me for “a reasonable report”, I think the word “reasonable” probably tells you all you need to know about my latest school report, but luckily they still bought me the book. 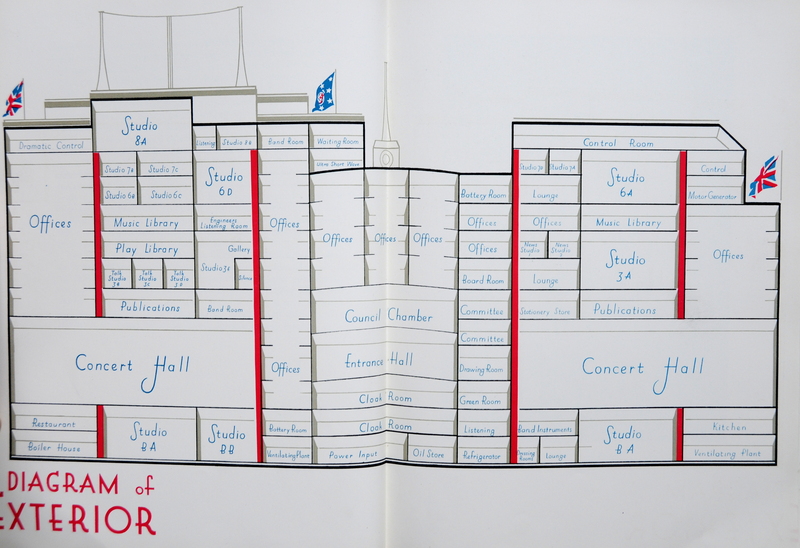 The book provides a detailed account about the new building, specially built for the BBC. It contains plans of the building and photos of all the major rooms, studios and facilities, including lots of technical details. Who knew that Studio 8A used for Orchestral and Band Music had a reverberation time of 1.1 seconds. The building design was heavily influenced by the Art Deco style of architecture and this extended to the plans in the book. The following shows a cut away side view of Broadcasting House with all the key rooms and studios labelled. Broadcasting House is still there, with a recent, very large extension and is the main London location for the BBC following the closure of Television Centre and the gradual move out of White City. 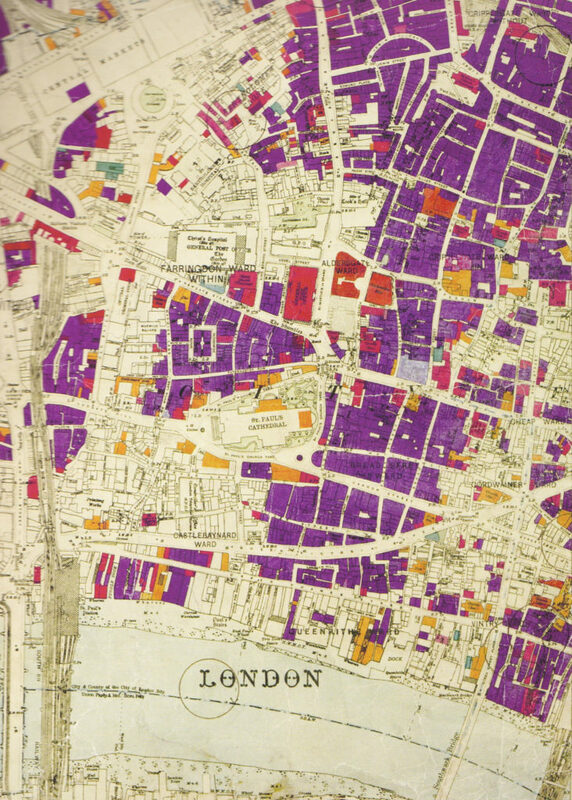 Continuing with maps, and the publication of the London County Council Bomb Damage Maps provides a detailed, street by street view of the damage caused by bombing across London. These are fascinating for research and show both the concentration of damage and also how random bombing could be. 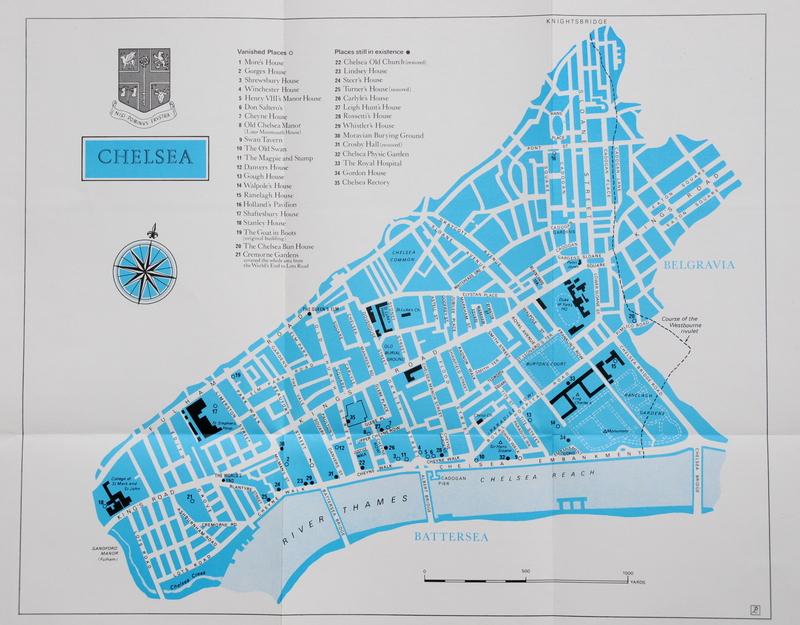 My latest find was “Chelsea” by Thea Holme and published in 1972. I found this last weekend in the excellent second-hand bookshop, The Chaucer Bookshop in the wonderfully named Beer Cart Lane in Canterbury. Continuing on the style of books from the 18th and 19th centuries, this book also has a large fold out map covering Chelsea detailing “Vanished Places” and “Places still in existence”. One of the Vanished Places is the Chelsea Bun House in Pimlico Road, a celebrated Bun House in Chelsea and home of the original Chelsea Bun. It was demolished in 1839. Other interesting books include the various County of London Development Plans. These provide both a snapshot of London at the time of publication along with plans for the future, some of which were built, others were not. These books frequently included highly detailed maps covering various aspects of the city, some of which I have featured in previous posts. 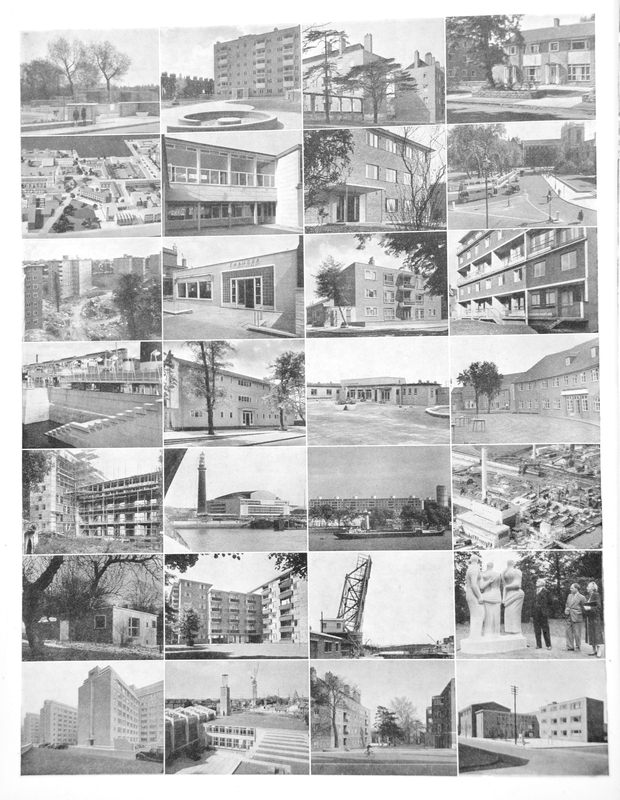 In the 1951 Administrative Plan, there is a page summarising post war development in London, what had already been built by 1951. Reading these Development Plans, the aim of building for Londoners is very apparent. Not a single luxury apartment for sale as an investment. 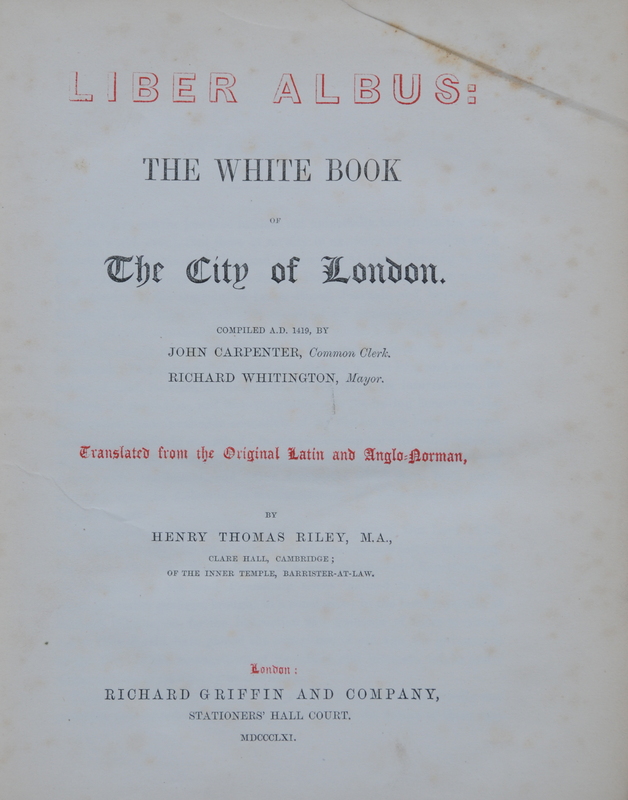 My final book in this review of London Books, is Liber Albus: The White Book of the City of London. The copy I have is the edition published in 1861 and translated from the original Latin and Anglo-Norman. And that no freeman of the City shall hold partnership with a strange man, or avow the merchandise of a strange man, whereby the King or his bailiffs of the City may lose custom upon the same; and this, under pain of losing the freedom. And that there be no one who shall make resistance in deed or in word unto the serjeants of the bailiffs of the City; and be it ordered, that no one shall molest them in making execution upon judgments, attachments, distresses, or other things which unto such bailiffs pertain to do, under pain of imprisonment. But if any one shall consider that the bailiff has done him wrong, let him make his suit thereon before his superiors, and have his recovery before those unto whom it pertains to make amends. And I am sure that more will be published in the years to come – my only problem is finding enough shelf space. This entry was posted in London Books and tagged London Books, Stow, William Maitland on June 19, 2016 by admin.